First 4 Plumbing is a leading Mansfield Plumber and Heating Specialist covering Mansfield and the surrounding areas. 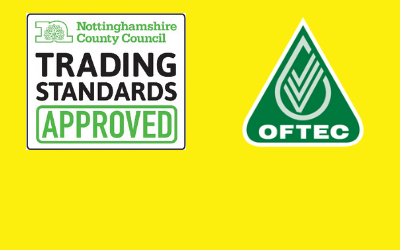 We are Gas Safe and OFTEC registered, and Trading Standard approved by Nottingham City Council. Since 1991 we have been dealing with all manner of plumbing and heating tasks, and our professional, reliable and friendly service is used by both homeowners and businesses customers across the Mansfield area. We pride ourselves on offering a competitively priced expert service. You can review our testimonials from happy customers by viewing our Check a Trade page. For a free no obligation quote, please call us on 07854 123 999 or send your enquiry via our contact form. We offer a wide range of services to homeowners, businesses and landlords throughout Mansfield and the surrounding area. No job is too big or too small, and we are happy to provide a free assessment and quote for any work you require completing. Our Plumbing and Heating services include; new central heating, general plumbing, boiler replacement, repairs and servicing, landlord certification, radiator and valves, leaks and overflow, tap repair and replacement, outside taps, fitted plus much much more. Need a plumber fast? We offer a 24-hour call out and a 1-hour emergency service. Our team are experts at identifying and dealing with issues quickly. If you have an emergency, call us on 07854 123 999.